Hello lovelies! Happy Monday and it's 1st day of September. Today's outfit post is yet another one of my favorites. This look is not my usual, that's why. I've wanted to pull a Boho look for long. 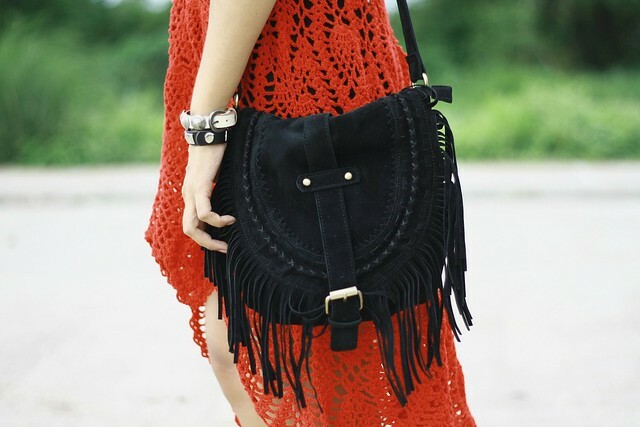 I was so happy when to find these red Boho crochet maxi dress and black fold-over fringe bag from ZAFUL. Finally, the outfit that I've been longing to pull has finally came true even though I'm obviously late because this outfit is ideal during summer since it's rainy season now in Philippines but if you're in a tropical country like ours; there's a lot of reason for exception. Comment below if you like this Boho look lovelies. 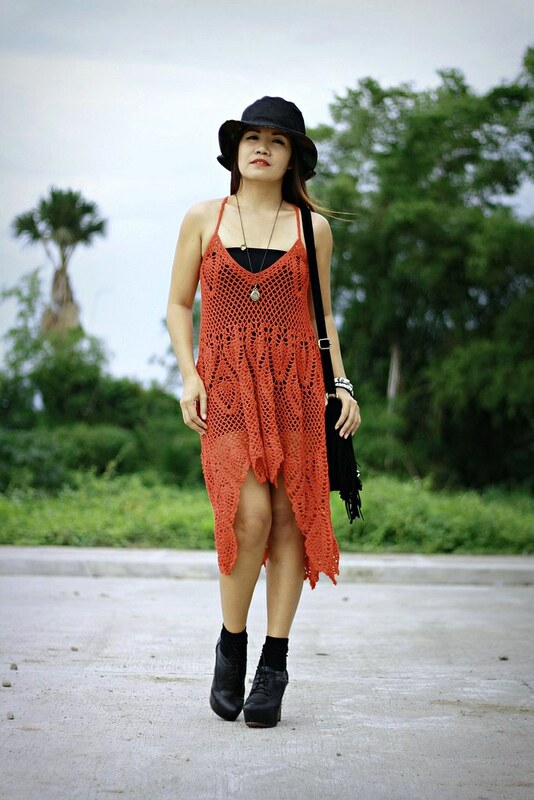 This red crochet dress has a lot of styling to offer. 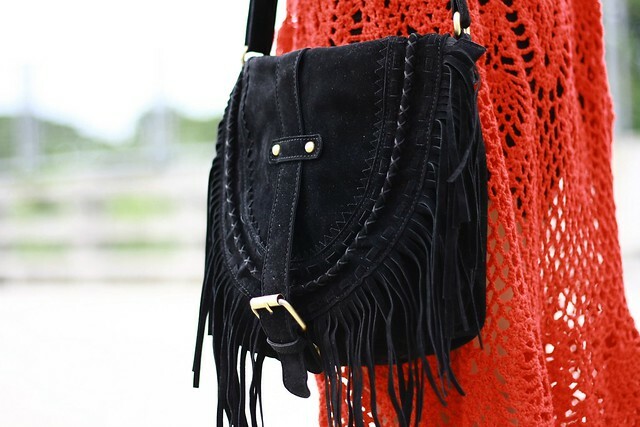 It is versatile so not only for a Boho look but you can style this as beach accessory, too. You can use this as a cover-up over your bikini or top it with a denim vest or jacket for a casual look. Aw..It's great to know that you love the dress. You should visit Lookbook Store to see more of our collections. Cute, love it with the jacket. The pictures are amazing and you look amazing. i wish i could knit one by myself! The dress is perfect and I love the shoes!!!!!! Love the dress with that denim gilet! Every piece fits perfectly with each other. Such a gorgeous look. You look phenomenal as always - beautiful dress! Lovely Boho vibes Ate Jen! SO gorgeous!!!! Love it!!! I like your dress girl!! Great outfit! Love your photos! !